If this game makes you want to dance the Hula, that’s no surprise: Volcano Riches is inspired by Polynesian culture. It whisks us away to the heart of a volcano to soothe Pele, the mighty fire goddess of the Pacific. Amid steaming lava, you’ll feel hot, but thanks to the upbeat music that completely fits the Polynesian theme, you’ll be fired up for the challenge. With an RTP of 96.43%, Volcano Riches entices us with the possibility to have wins literally erupt – with bets starting from just 0.20€. You can try Volcano Riches for free to discover the power of the volcano goddess for yourself. As soon as you want to play for real money, sign up with our Quickspin casinos for an exclusive welcome bonus and find more games you’ll love. Quickspin have once again created a high-quality slot with its own unique theme, all the features we know and love and an attractive RTP. Pele, the goddess of fire, rewards those brave enough to enter a volcano with generous extra wilds and free spins. With the possibility of winning over 1,250 times your stake, facing the fire is definitely worth it. 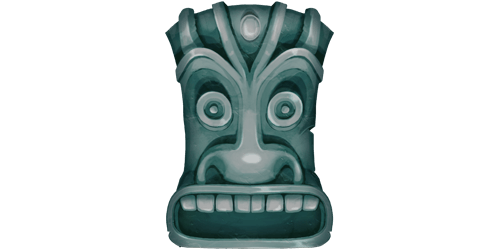 Pele is not the only symbol of Polynesia you will encounter. The reels show men and women in traditional dress, including the famous grass skirts and other popular symbols such as monolithic human figures. In Volcano Riches, winning doesn’t only feel good, it looks good, too. Volcanic Wild symbols cause spectacular eruptions and the goddess Pele herself congratulates you on your win. Volcano Riches combines the ease of a good slot game with attractive opportunities to win. 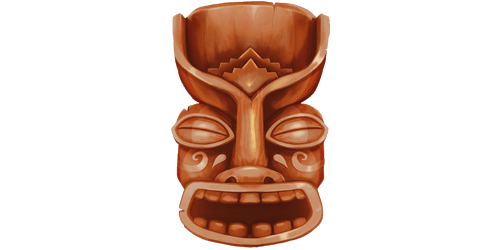 As you try and match the symbols, including Polynesian men and women and hollowed-out canoes, look out for different symbols that will enhance your play. The Volcano Wild symbol, which looks like the goddess of fire in front of a volcano, gifts you with multiple wild symbols. Three suns trigger a free spins bonus and the goddess herself on all reels leads to big wins. These symbols are the most outstanding feature in Volcano Riches. When you hit a Volcano Wild symbol, it generates a big burst of fire crashing down onto lines to add between two and five additional wild symbols in neighbouring reels. The Volcano Wild has the possibility to retrigger additional Volcano Wild symbols that will then erupt further. You just have to lean back and watch your winnings increase to up to 1,254 times your original stake. Volcano Riches isn’t only generous with its wild symbols. 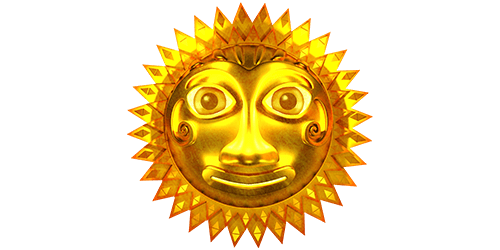 Gather three golden suns and you’re awarded 10 free spins. The free spins can then transform Volcano Riches into an even more exciting game, since there is a bigger chance of hitting it big during bonus rounds. Unlike the base game, during bonus rounds you can find it both in slots 2 and 4, markedly increasing your chances. Just like before, the wild symbols can trigger additional Volcano Wild symbols, with a decent number of symbols stacking up to big or even epic wins. Additionally, wins in free spins bonus rounds pay both ways. The symbol of the goddess of fire promises divine assistance for that extra bit of luck. If you find her in all five reels, this high-paying symbol can lead to a blessing in your account. Volcano Riches is the latest game in the Quickspin lineup to support 6 game events which award you with special tokens. In Volcano Riches, these events include for example triggering Volcano Wilds. Quickspin tokens can be used in partner casinos for a number of purposes, like special rewards and achievements. The minimum betting amount on Volcano Riches is €0.20 while the maximum betting amount is €100 per spin. The maximum win you can achieve on Volcano Riches is worth 1,254x your total stake. As with its other games, Quickspin is dedicated to offering players a great experience both on their desktop as well as their mobile devices. Whether you decide to play on your smartphone or on your tablet, the goddess of fire welcomes you to the volcano wherever you are. Once you’re ready to visit the world of volcanoes, you can take advantage of exclusive welcome bonuses available through our Quickspin Casinos.